Daniel Hutto has written Folk psychological narratives (2008) to argue against the idea that we each use a theory-of-mind to understand other people. (I have written a micro-review of it in Books on the Psychology of Fiction, which you can reach by clicking here.) There are two going theories of theory-of-mind. One, called the theory theory, is that each of us develops a theory of other people whom we know, and when we want to understand what some particular person is thinking and feeling, we crank the handle of this theory to make inferences. The other, which the members of this research group tend to prefer, is the simulation theory: that we create a simulation of the other person based on imagining ourselves to be in the situation that the other is in. 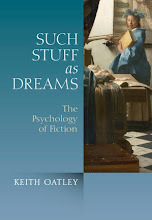 Hutto's book is of interest for the psychology of fiction for two reasons. 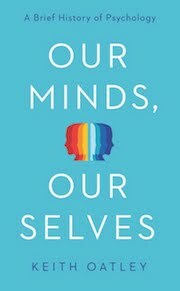 One derives from the idea proposed by Lisa Zunshine (2006; click here for microreview) that what we are doing when we read fiction is to apply our theory-of-mind processes. We enjoy fiction because we are good at these processes. The other reason is that Hutto argues that understanding others, which previously has been treated as requiring a theory of mind in the form of theory theory or simulation, really needs no such thing. Rather, what is involved is an understanding of folk psychology, about why people do things. Both everyday explanations of action, and the explanations that occur in fiction, are expressed as what Hutto calls "folk psychological narratives." The defining feature of such narratives, he says, is that in them people act for reasons. So as not to disappoint us, Hutto gives us a little narrative. He recounts how he was going abroad for a while and asked his wife to arrange for his car to be serviced and kept in his local garage while he was away. He gave her the phone number of the garage and, as he says, "she kindly made the booking for me" (p. 18). Then, he says: "On the morning of my flight, she agreed to drive me to Heathrow after I had first dropped off my car at the garage. So, we set off in our separate cars and she took the lead, her trunk laden with my luggage" (p. 18). What happened next was that, instead of taking the turning to the garage as Hutto had expected, Mrs Hutto (may we call her that?) drove straight on. He was amazed. "Time was against us" he says. What can she have been doing? Now he became alarmed, and flashed his lights. "I was at an utter loss to make any sense of her actions," he says, "even though I had a detailed knowledge of the circumstances as well as her history and character" (p. 19). It turns out that although Mrs Hutto had made the appointment for the car, she thought that the phone number that Hutto had given her was "the number of our old garage, in the next village" (p. 20). That is where she was going when she failed to turn towards the garage that Hutto had in mind. My claim is that our ability to make sense of intentional action in practice ... rests on our knowing in general, which details might be relevant and knowing how and when to make the appropriate adjustments in particular cases. 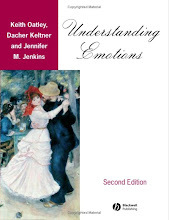 Folk psychological narratives are uniquely well suited to fostering this kind of understanding, because they provide examples of people acting for reasons in appropriately rich settings. According to this idea, rather than theory-of mind-being the key to understanding why we read fiction, narrative (including fiction) is the key to being able understand others in ways that had previously been thought to require theory-of-mind. Daniel Hutto (2008). Folk psychological narratives: The sociocultural basis of understanding reasons. Cambridge, MA: MIT Press. Lisa Zunshine (2006). Why we read fiction: Theory of mind and the novel. 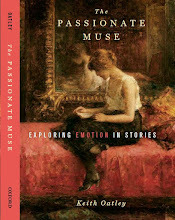 Columbus, OH: Ohio State University Press.